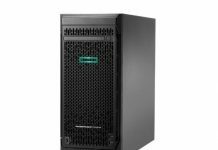 With the introduction of the HPE ProLiant MicroServer Gen10, the company pivoted on a number of fronts. We covered the initial launch for the server some time ago. 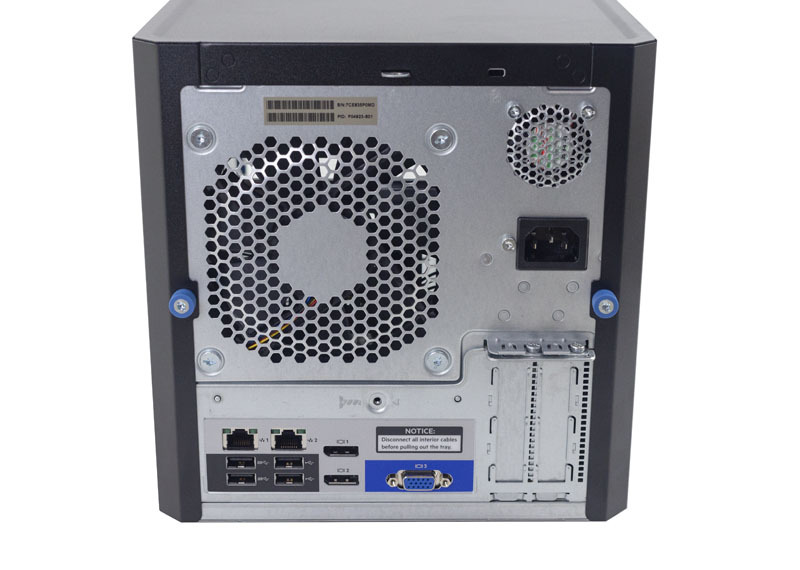 Our AMD Opteron X3421 powered unit cost us under $375 which is quite reasonable. HPE’s goal is to make an edge server capable of servicing small offices, retail locations, and even high-end home environments. 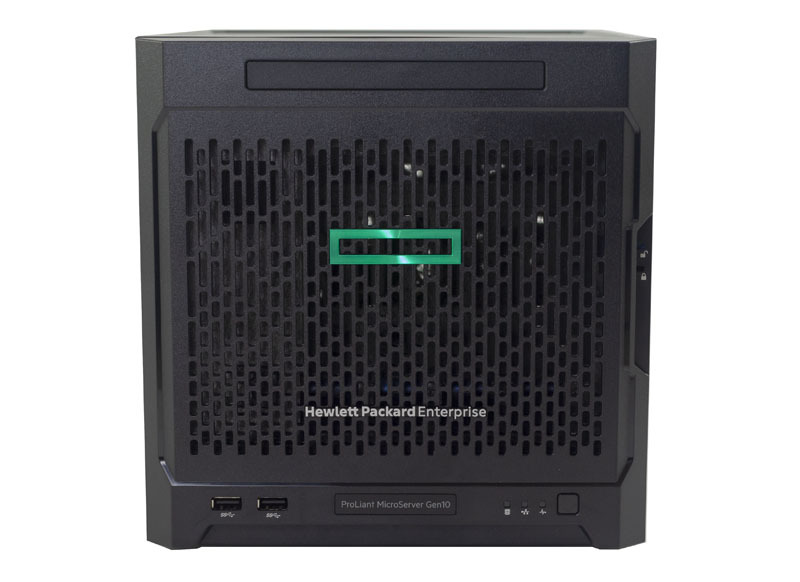 Hallmarks of the HPE ProLiant MicroServer include a focus on storage and low power, nearly silent operation. 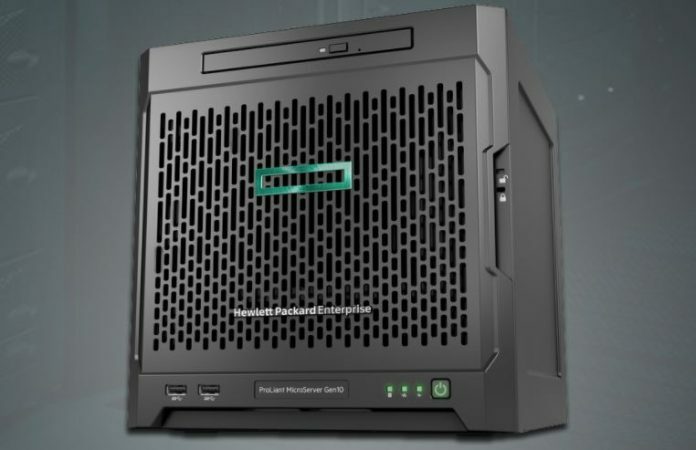 Here, the HPE ProLiant MicroServer Gen10 does not disappoint. In our review, we are going to tear down the server to see the design decisions HPE made. We are going to benchmark the unit and see how much power it uses. Finally, we are going to discuss the pros and cons of the Gen10 iteration. 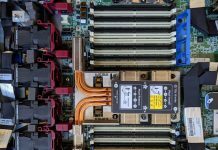 In our HPE ProLiant MicroServer Gen10 review, we are splitting the hardware overview into two parts. First, we are going to look at the general purpose server hardware. We are then going to focus on the storage-centric aspects of the server. The ProLiant MicroServer Gen10 is a storage-focused box so we wanted to align our review along that axis. Upon unboxing the HPE ProLiant MicroServer Gen10, one will immediately notice a diminutive stature. The entire unit is 9.25″ x 9.06″ x 10.00″. Finished in a matte material, one gets the updated HPE logo and two front panel USB 3.0 ports. The top of the unit has a slim optical drive bay, however we suspect most people will use it for a SSD if at all. The rear of the unit has a power input, two more USB 3.0 ports, two USB 2.0 ports. Beyond this, there are three video outputs. The large blue one is a legacy VGA port and there are two DisplayPort headers. If you need to run digital signage, perhaps for office dashboards or menus, the AMD Opteron X3421 has a GPU to handle this. We wanted to note, there are lower-spec dual-core options, but we suggest that if you are reading STH, get the quad core X3421 model. One can also see a pair of 1GbE network ports. Networking is handled via Broadcom NetXtreme BCM5720. There are a total of two ports and these are detected in most OSes out of the box. Our readers will likely see these as a middle ground between using Intel i210/ i340 NICs and using lower quality Realtek NICs which cost pennies in a bill of materials. 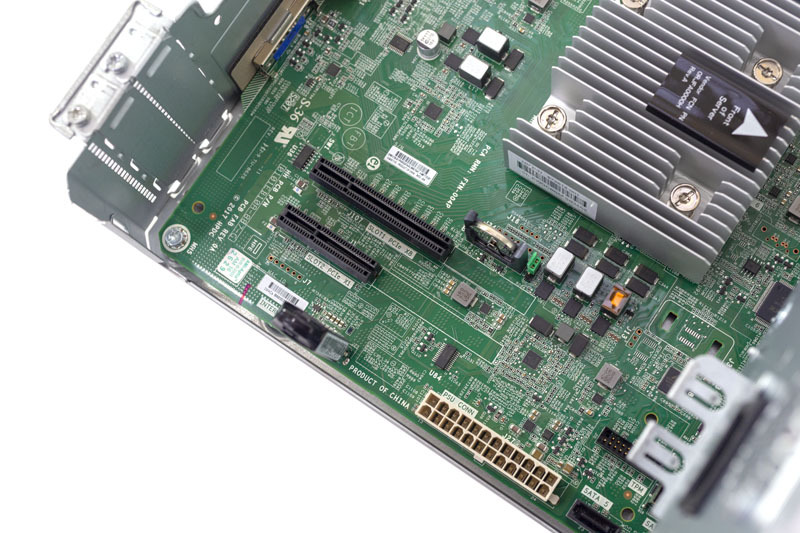 In this class of server, the Broadcom BCM5720 solution is more than acceptable. The motherboard tray slides out after one disconnects all of the cables including the ATX power cable and SFF-8087 SATA cable. Inside there is a very functional layout. Cooling the CPU is a passive CPU cooler. This is flanked by two DDR4 ECC UDIMM slots. It was a nice touch that our inexpensive review unit came with a single 8GB DDR4 DIMM instead of two 4GB DIMMs. 4GB DIMMs have become less common, and the implication is that one can upgrade this server to 16GB by simply adding an 8GB DIMM. If there were two 4GB DIMMs, they would be discarded in a memory upgrade. The PCIe slots are interesting. 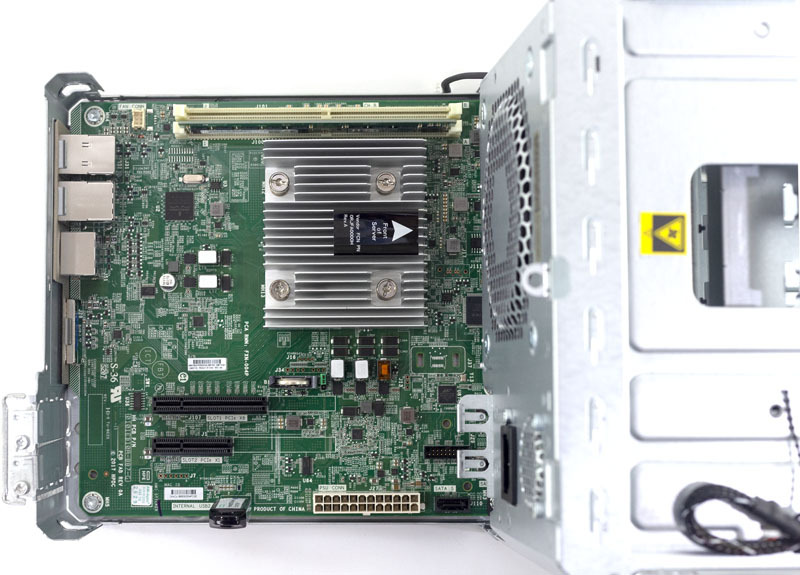 HPE has a PCIe 3.0 x8 slot with an open-ended connector. 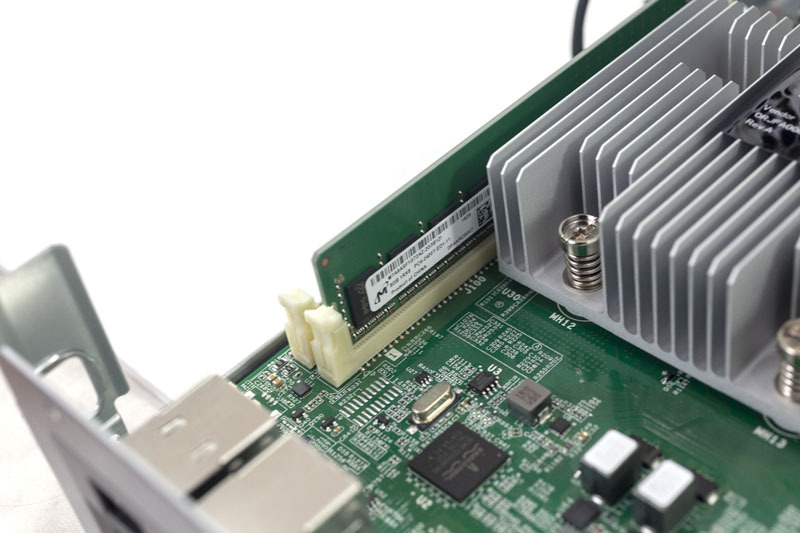 The PCIe x4 slot is also open-ended but is only an x1 electrical slot. The open-ended design lets one install larger cards, although not with full bandwidth. Here, if the PCIe 3.0 x1 slot was an x4 slot, it would have made the expansion capabilities truly tantalizing. As an x1 slot, it simply does not have the bandwidth for high-speed NICs, NVMe storage, or most other add-in cards. From a hardware perspective, this is mostly it. Our unit had a low-end quad-core processor with an integrated GPU allowing for 4K video output. Two DDR4 UDIMM slots with an 8GB stick of RAM installed. There are also dual 1GbE NICs. 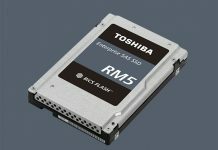 This is not a heavy compute platform, but for basic network services and storage, it is enough. We think of the AMD Opteron X3421 as an Intel Atom C3000 competitor in terms of performance and will have data to show why. For now, let us move on to storage.